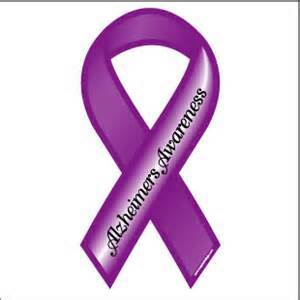 It was one year ago today, April 15, 2012, that I lost my father to Alzheimer’s disease. Without the drugs and procedures which kept him alive, I might have lost him earlier than that, but thanks to pacemakers and blood-thinning pills and blood pressure medicine and a myriad of other things, we were able to have him until just last year, when he’d forgotten so much that I think he simply forgot how to live. I was not with him when he passed away. If only I could have known when it would be, of course, I would have been there but I thought he’d be around for quite a while longer. The ironic — no not ironic, more like tragic — thing was, I had considered going to visit him that weekend but didn’t. No excuses, I just didn’t go. It’s a six-hour, two-night hotel stay, so I opted not to go. I probably had something else going on. What could I have had going on that was more important? Well, funny, I can’t remember. I had been hearing things, he’s losing weight, he’s having difficulty swallowing, but still, I didn’t go, because I thought there would be other weekends. But then the call came, and it was too late. He died alone. My Dad was a big man, 6′ 3″, over 200 pounds for most of his life. When he died, he was tall, but not big. He’d fallen to 155. He didn’t know anyone, he pretended he did, but if I’d asked him what my name was he wouldn’t have been able to tell me. So I didn’t ask. The last time he recognized me was in January of 2012. He had me, and his son-in-law, and his two granddaughters with him that weekend, and he was so glad to see all of us. But visiting stressed him, because I think he knew he was failing in some way and didn’t want any of us to see that. He always seemed to cut the individual visits short, but was happy to make plans for the next one. So we visited him for short periods, three or four times a day. He seemed to like it that way. The last ten months of his life went like this. In June of 2011, he was living in an Independent Living Facility with his wife. My stepmother wanted us to come. Something was wrong. The doctor came and his heart rate was so low she said, get to the cardiologist, immediately. The pacemaker had malfunctioned. So he had to have a procedure, and then rehab, and in his confused state he declined and the recommendation was that he needed to be in an Alzheimer’s care facility. So off he went. He still didn’t know what was happening and never knew he had the disease. While he was living there, we’d visit him and there were other patients with differing levels of dementia. One woman liked to go barefoot and she couldn’t talk and she was constantly fluttering around and she’d pull up a chair and sit within any circle of family members visiting their loved ones. “She’s got Alzheimer’s,” my father whispered. Everyone does here, Dad, I wanted to say. But I didn’t of course. We’d never told him and it was too late to do it at that point because he’d never understand. Shortly after the January visit, he fell, went to the hospital, and they decided he needed even more care so he went to a skilled nursing facility with a lock-down unit. The changes within that 10-month period were too much for him. People with dementia don’t tolerate change well. I believe too much happened too soon. He no longer knew who we were. On one visit, he babbled about his home town to a guy sitting next to him while we sat there, not knowing what to do. Pretty horrible. I got the idea to write this post from Stevil who wrote a post about his father and how his father always seemed old to him. It was just a couple of days ago, and he included an old family photo. It gave me the idea to do the same thing. Here’s a picture of the Happy Family before the Usurper (brother) came along. 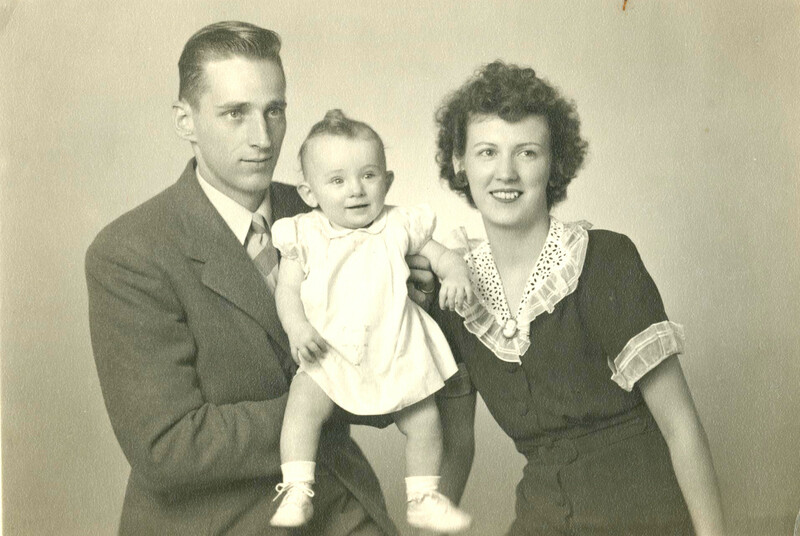 As Baby Boomers, many of us early ones have already lost both parents. Some are lucky enough to have one or both of their parents still, but not too many do. And the younger BBers will soon be, or already are, dealing with aging parents issues. Alzheimer’s is especially heinous, I think. It scares me because now I have that hereditary proclivity for it too. None of my grandparents had it, and all four lived long lives so maybe I’ll luck out. Or maybe not. We are more aware of dementia because we’re living longer, kept alive by drugs and surgeries. My personal choice is not to take prescription drugs just because they’re prescribed. I will take what I need to prevent certain things (like stroke) that could cause me to be a burden to my family. This will not make me to popular with some, but I wonder if it might not be better to let nature take its course a little more often. The pacemaker and a myriad of drugs kept my father alive. But he had Alzheimer’s. I wished there was just one drug that could cure that. I worried that he’d be scared, as you hear all Alzheimer’s patients go through that period when they know something is seriously wrong and are agitated and confused and afraid. Then they settle in to the final stage, and the fear goes away, but so does all remaining cognition. Alzheimer’s is the worst. It’s horrible for the person going through it, and it’s horrible for family and friends. Now, I don’t think of the last year of his life anymore. I choose to remember him the way he was before that. This entry was posted in Alzheimer's and tagged Alzheimer's Disease, Family, Tribute to Dad by Lynn Schneider. Bookmark the permalink. I’m sorry. Losing our parents is difficult, especially watching them slip away in this manner. I hope you will be able to find comfort in the happier memories. Thank you, Hippie. I spent the morning going through old photos, selecting one to scan, and it did bring memories of happier times. So sorry to hear about your father. I can’t imagine how difficult that must have been to see him change from the man he once was (though, of course, that man was still in there, which is the cruel thing about Alzheimer’s) to the man weakened by this horrible disease. I’ve been thinking I should head out East to see my mother and step father. It’s been a while. Your post has just pushed me in that direction. If I can convince just one person to go when they get that little feeling that they KNOW they should, or some inner voice says, something’s about to happen, then it will have been well worthwhile to write this. It made me so sad to see him that way that I really dreaded going, not knowing what worse condition I would find him in this time. I am choosing not to remember him that way any longer. I can’t remember him the way he was in the picture (because I think I was one year old) but I had him in my life for a lot of really good years. It’s a horrible, horrible disease. Please, someone, figure out why it happens and then make it not. Yes, please. Well put. Make it not. Thanks, Ms BD. Really beautiful post. A lot of “Dad” centric thought this week. I agree with you that extending a physical life in cases of advanced AD/dementia seems cruel and maybe even inhumane. The Beloved and I have had long (and sort of difficult) conversations about our expectations if we should “lose it”. The prospect of that terrifies me more than any other disease and I get freaked out when I find myself (or imagine myself) forgetting more things than I used to. The Beloved’s father used to joke that he smoked so he could take 10 years off his life because he watched his mother and grandparents all live for a decade or more without knowing anyone and he didn’t want that. Fittingly, perhaps, he died a few years ago from a massive stroke just as he was starting to show some early signs of dementia. Got what he wanted in some ways. Yes, lots of Dad-centric thoughts. I’m a big one for anniversaries so of course the first affected me. I think what you and The Beloved have done is a wise thing to do. Think I’ll have a chat with Herr Schneider about it as well. In your FIL’s case, smoking worked out OK for him. Not always the case unfortunately. I guess on a first anniversary is gets a little easier to write about these ultimately life changing goodbyes. It took me more than ten years befor I could write about the last days with my mother. My dad went ten years before her and left her lonely. They were both in good spirits and in full cognition, fully aware of their nearing end. Death is still is a mystery to me, but I would sign for the way they left. I am feeling for you and the questions you might have, the feelings of guilt that are unavoidable. Then the realization hits that we are next. Yes, it helps to have a remembernace ritual of some sort. Thanks for the moving piece. Thank you, Johanna. We always thing we should have done more. That we should have thought more about them, and less about us. He’s i a better place. Now that the first year has passed, I can remember him a little differently. The way he was in the good years, and there were a lot of them, instead of the way he was the last year. you know I understand very well what you are feeling and did feel. And we don’t get away without regrets, no matter what we do. Yes, I was with my mother when she died and I am grateful for that. But I still think about what I coulda, shoulda, woulda done. Did you read “Still Alice”? Do if you haven’t.BTW, love the photo– you look more like your mom, but like dad too. And that baby must be Heather! Is this Nancy? You are listed here as “Anonymous”. I will read Still Alice. I believe I’ve heard of it before. Upon your recommendation I will read it. I don’t see how you could possibly have any feelings of coulda, shoulda, woulda. You did everything for your mother. She was lucky to have a supportive family surrounding her, and especially a daughter who didn’t leave her side while she was in her final days. I think I look like a combination of both of them. The baby does kind of look like Heather, I never thought that before! Choked up on this one, remembering your Dad. I can still hear his voice, telling one of his jokes!! One thing I remember hospice telling us when my Dad was dying, was that sometimes they’ll wait to die until they’re alone. None of us knows why, but I think those family members who’ve gone before know when he’s ready, and come to take him home. That was a great picture -had forgotten how pretty your Mom was, and how handsome your Dad! You were a wonderful daughter, never forget that!! Oh yeah, dippy dippy and all that. I can still picture him at his surprise birthday party when he was 59 and your mother laughed so hard at the Blue Cheer joke I thought she might choke. I hope you are right, and I think he just faded away there at the end. We miss him a lot, but the way he was, it was very difficult to see him that way. Really sorry about your dad. I’ve lost my dad in 2004 to lung cancer. He was only 60. Like you, I wasn’t there. I was in Denmark studying, he was in Ukraine. That’s just how life goes and you can’t blame yourself for not being there. Oh, 60 is too young. Losing my father, at age 89, is expected. You grieve, but think about the past, how they used to be. I lost my mother when she was 57. I was so not ready to be motherless. So I sympathize with you for losing him earlier than you would have wanted. Thanks, Daniel.